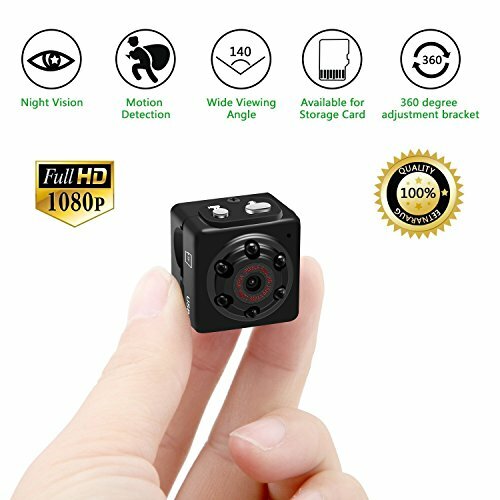 Color:2018 Hidden spy camera black Color:2018 Hidden spy camera black 1,With the included camera clip and bracket, you can mount the camera on a desk, on the wall, and even as a pocket or body camera by hanging it on your pocket, just takea it everywhere you go to record every moment. 2,Before using your IELEACC Mini Camera, you need to Continuous supply of electricity and install the micro SD card, then start using the camera and select specific mode to record based on your need, such as sound-activated recording and manual recording. 3,Last but not least, we’ve prepared the professional and detailed user manual in the package, you can find all the instructions there.